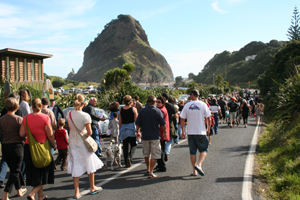 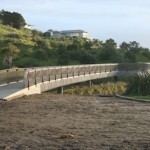 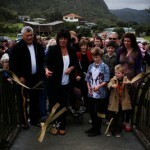 Piha’s eel bridge is in line for another award Piha’s ‘Story of the Eel’ footbridge is in the running for another national award after being named finalist in the Association of Consulting Engineers Innovate NZ 2009 Awards more.. 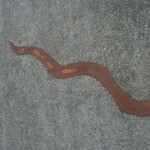 The design from a local artist is based on the life-cycle of an eel. 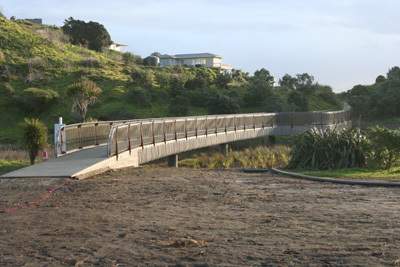 It will be wider than the previous bridge allowing space to stop and take in the view and allowing bikes and prams to pass easily. 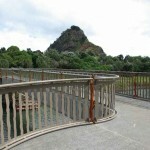 Many thanks to the Waitakere City Council for providing this great asset to the area.